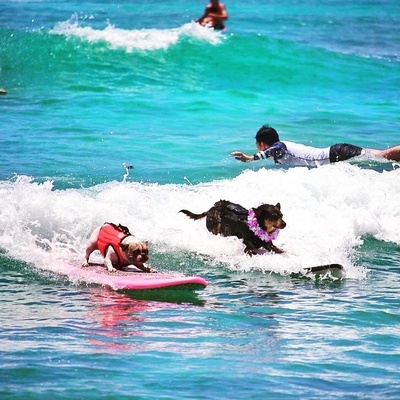 Come & join the fun as dogs of all different sizes and shapes take to the waves in this worldly surf competition for dogs and their humans! 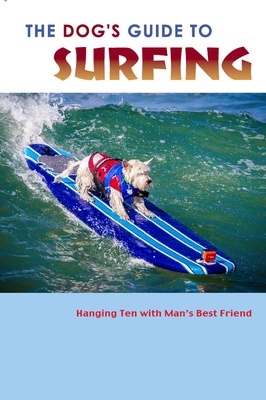 Enter your dog in a surf heat or in another fun activity. Vendors & sponsors will take to the beach giving away swag and providing information about their businesses or services. You'll be sure to find lots of dog related resources. This event gets worldwide attention! 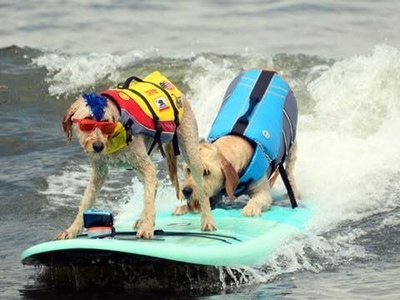 We have Dog Friendly beaches as long as your furry friend is on a leash. Please pick up after your dog. Please help us keep our beaches free of garbage and plastic so that it does not pollute the ocean and harm sea life. Bring a bag to carry your garbage out our pitch in by always carrying a few pieces out. Every little bit helps! Thank you! Highway 1 between Crespi Dr. and Linda Mar Blvd.